SKU: 1907P Category: Training Videos Topic: Management/Supervision Brand: VisionPoint Productions, Inc. Honest thoughts from employees on what managers can do to help them be more successful. Are there days when it seems the good people have resigned and the rest think you’re the enemy? Do you spend your time motivating people that don’t care and the rest putting out fires? 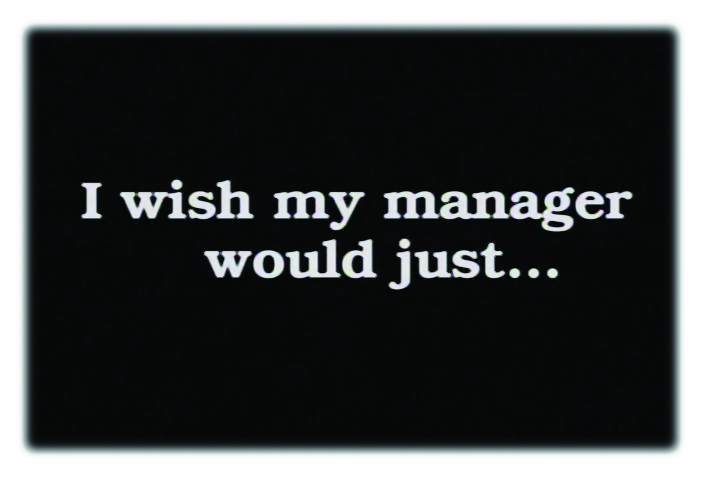 Based on research conducted with thousands of employees over a five-year period, employees were asked to finish the statement “I wish my manager would just…” While some answers may surprise you, and others will seem quite simple, I Wish My Manager Would Just…will encourage managers to really think about their own management style and understand how it affects their employees.